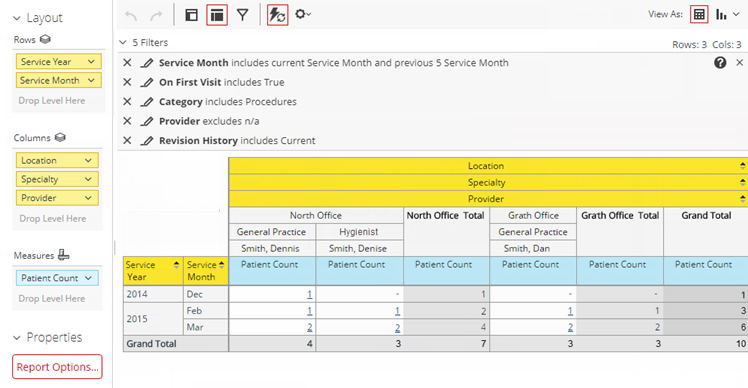 The New Patients Seen Report displays the number of patients with a first visit date that is within a specified date range. The count is broken down by year and then month for each location, specialty, and provider. Also, there are totals for each location and grand totals. On the Power Reporting page, click (or tap) the New Patients Seen icon.